SUCCESS KEEPS ROLLING FOR COMMERCIAL DEPARTMENT! H&N Perry’s commercial property owners have every reason to smile with 12 new leases signed so far this year! Six of these commercial leases were completed in the first two months of the year with a further six contracts signed in as many weeks. The demand for commercial premises has been spread from as far away as O’Connor, Rockingham, Boddington to more local properties in Greenfields and Halls Head. Whilst retail premises have been the most sought after, we have also successfully leased industrial and commercial workshops. H&N Perry’s Commercial Department work hard for our owners to make sure that their investment properties don’t sit idle. We understand the importance of keeping premises occupied so that owners can maximise their return. 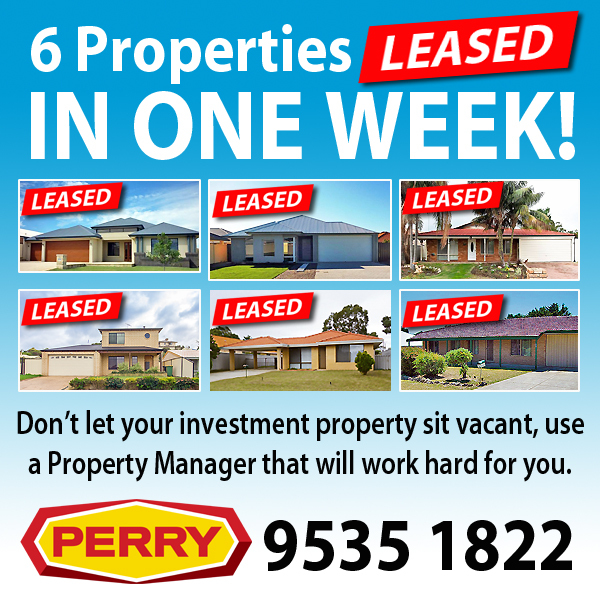 If you want your property managed by Mandurah’s leading commercial agency, call Jan Wiley from H&N Perry on 9535 1822. Property Sales Moving On Up! The beginning of 2014 has seen the demand for mid-range properties increase steadily across the Peel Region. Buyers looking to upgrade are seeking out good quality homes in excellent locations priced between $500,000 and $800,000. Modern family homes in this price bracket are being sold extremely quickly. In fact, just recently H&N Perry’s Sales Director, Frank Lawrence sold a home in Madora Bay just 1 week after it was listed for sale at $640,000. 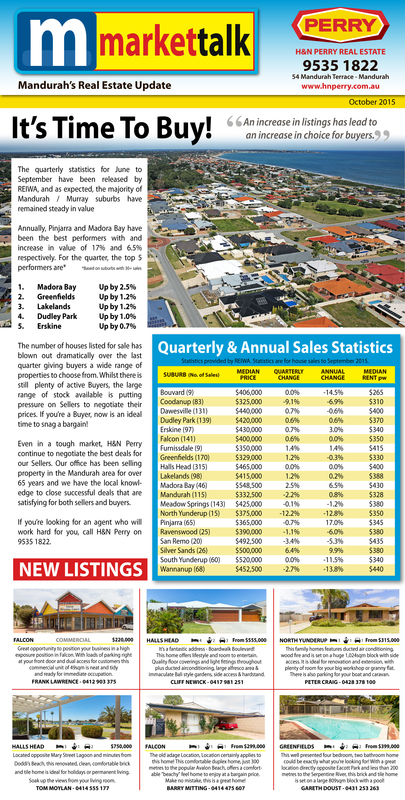 Just this week, the Mandurah suburb of Halls Head was represented three times in Landgate’s Top Weekly Sales list. A property in Aztec Island Retreat was sold for an impressive $1,950,000 propelling the suburb to No.7 in the ‘Top Ten Sales’. With 11 properties sold in Halls Head for the week, it was also No.2 for ‘Numbers Sold’ and No.4 for ‘Turnover’. 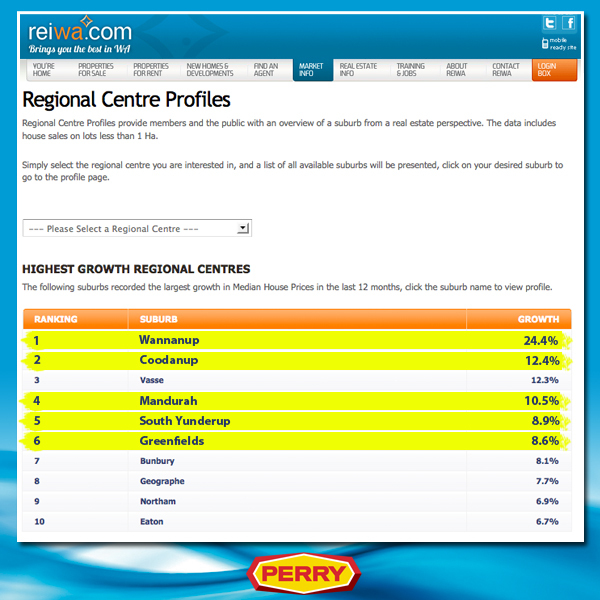 REIWA also released data for the year January 2013 to December 2013 which reveals five Peel Region suburbs as experiencing the highest growth in median house prices for regional centres. Wannanup was the highest achiever with 24.4% growth, Coodanup had 12.4%, Mandurah had 10.5% South Yunderup had 8.9% and Greenfields had 8.6%. 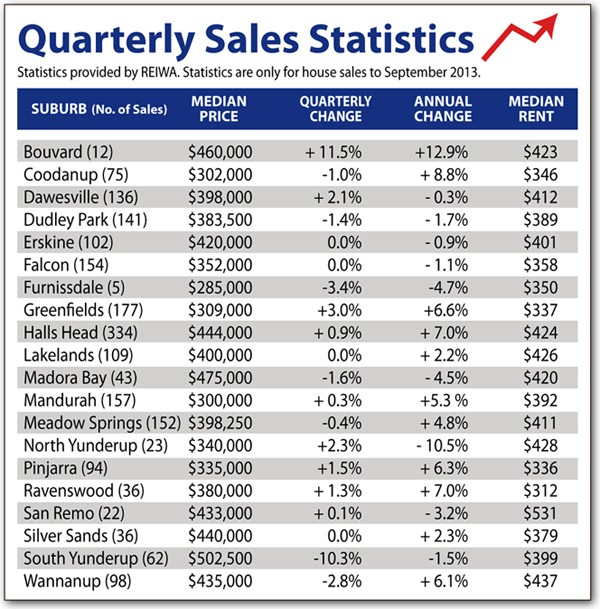 These figures are extremely good news to home owners across the Mandurah Murray Region. If you’ve been thinking about selling, but were waiting for the market to improve – now’s the time! H&N Perry Real Estate are receiving call everyday from qualified buyers looking to upgrade. To find out how much your home could be worth and how H&N Perry can help you achieve it, call our office today on 9535 1822. H&N Perry are specialists in the Mandurah area. 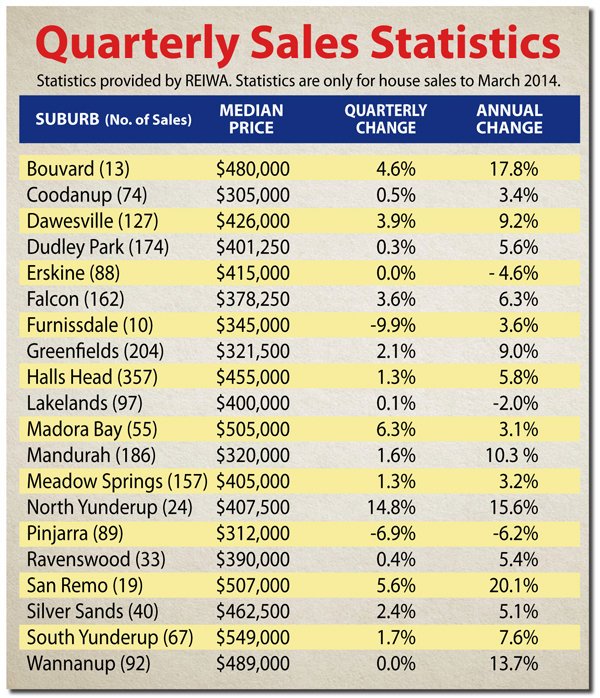 Quarterly Sales Results For The Peel Region…. After the release of REIWA’s latest sales figures, it would appear that the real estate market in Mandurah is offering buyers and sellers some stability this year. Only suburbs with more than 30 sales are included in this list. These results are a reflection of the continued demand for properties under $400,000. Most houses in this lower quartile price bracket are selling quite fast whilst demand for properties priced in the upper quartile (around $1,000,000) is still slow. However, overall 2013 has seen a steady increase in the number of sales which is positive news for owners in the Peel Region. H&N Perry are committed to providing our clients with all of the latest sales statistics for the Peel Region. 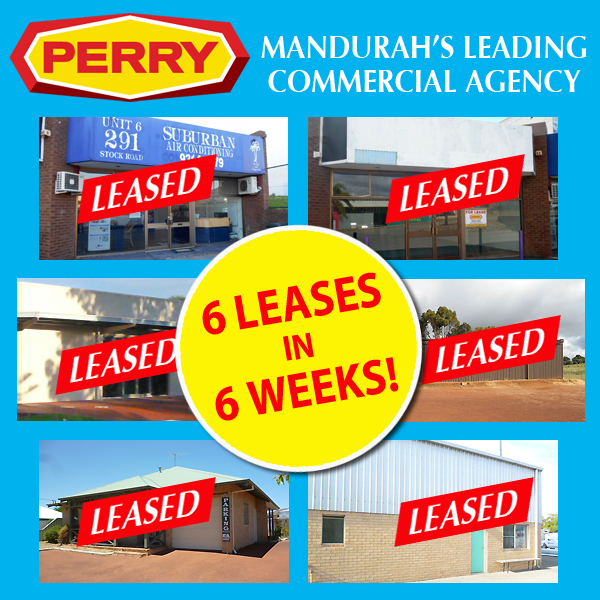 We have been selling and leasing property in Mandurah since 1950 and are specialists in the area. If you’re thinking of selling or buying, call one of our experienced Sales Representatives today on 9535 1822. You can be guaranteed that we will give you an honest appraisal of your property and strive to achieve the highest sales price for you.